The Arjun Kapoor – Alia Bhatt starrer has now collected marvelous figures by the end of its first week on box office. This one week journey resulted very favorable for the film as the audience really loved the content as well the lead star cast together. 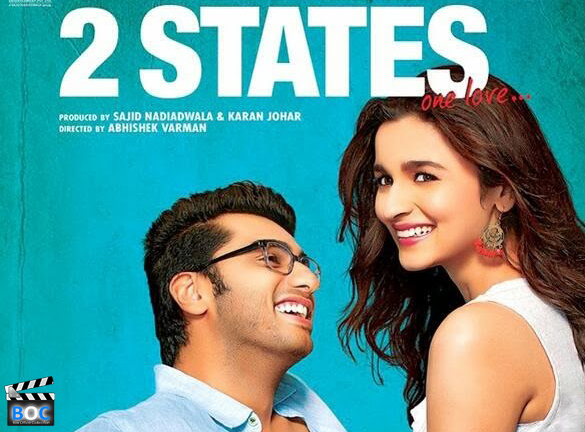 2 States was released on 18th April 2014 with good word of mouth and positive approach of the audience which could be seen even by today. Being the 7th day of its release, the film has covered great business for the film makers by setting tremendous response from the viewers all over the places. As today Thursday (24th April) is a holiday in some parts of the country for Elections so the film might see higher occupancy at multiplexes today night. After getting a little bit underwhelming response at the box office on its opening day, the film now started to show its true caliber. 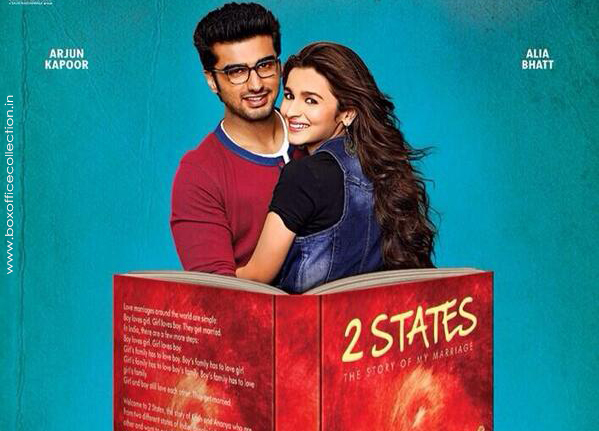 2 states first day total collection has put it on the third spot in this year. Well the response is nearly expected as it doesn’t contain any big star names but it still catching its little bit lost ground on these working days. Also the occupancy weren’t gone as per the provision only in the small city single screens, whereas in multiplexes 2 States is still managing to do its good work and it is still getting at least 50% occupancy on these business days. 7th Day Box Office Collection of 2 States is 5.51 Crores which shows the audience craze for this film even on the weekday. We can expect a rise from the film in the upcoming days as it is start of the weekend from tomorrow so the business may get affected either positively or negatively due to other releases. 2 States Biz.- Fri 12.42 cr, Sat 12.13 cr, Sun 13.51 cr, Mon 6.21 cr, Tue 5.63 cr, Wed 5.36 cr, Thu 5.51 cr. Total: ₹ 60.77 cr nett.